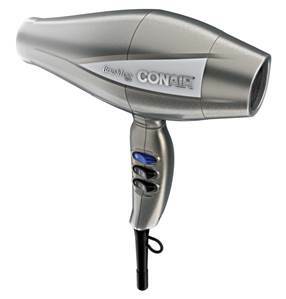 Infiniti Pro by Conair 3Q is going to change the way you blow dry your hair. The powerful, new tool boasts that its new technology is all about the three Qs: quality, quick and quiet. Quality: The 3Q uses magnets and electronics to power the motor, which extends the life of the dryer by up to 10x. Quick: The dryer’s ultra-fast airflow reduces drying time by up to 70%, reducing hair’s exposure to the damaging effects of heat styling. Quiet: The 3Q makes 40% less noise with patent-pending, noise reduction technology – a foam insulation sits inside the dryer’s rear attachment piece to reduce the noise. The dryer also features titanium ceramic technology that provides infrared heat to gently dry hair. It also features 3 rocker switches for custom heat/speed settings: 3 heat settings, 2 speed settings. Conair will launch the tool in the U.S. on HSN in mid-August. It will then be available for sale in September at mass retailers for $119.99.